No Maintenance The MICHELIN® X® TWEEL®UTV airless radial tire is a single unit that replaces the current pneumatic tire/wheel/valve assembly. Once bolted on, there is no air pressure to maintain, thus eliminating the need to carry spare tires, tools, or repair kits. No Compromise The full width poly-resin spokes help dampen the ride for enhanced operator comfort, while providing outstanding lateral stiffness for excellent cornering and side-hill stability. In addition, the low pressure contact patch of the MICHELIN X TWEEL UTV helps provide outstanding off-road traction. 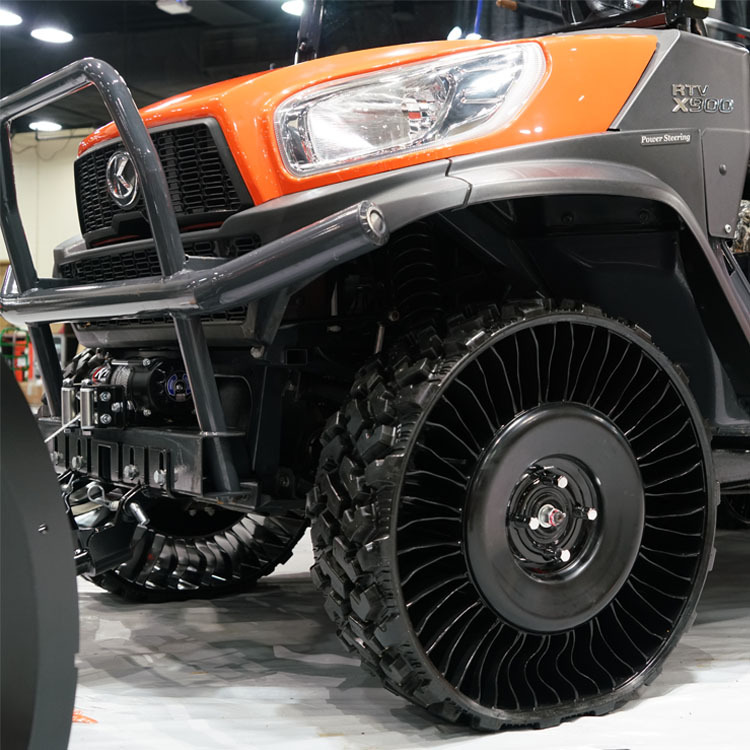 No Downtime The MICHELIN X TWEEL UTV airless radial tire was developed to improve mobility in difficult environments and conditions where vehicles are exposed to rugged roads, jagged terrain and other hostile elements. 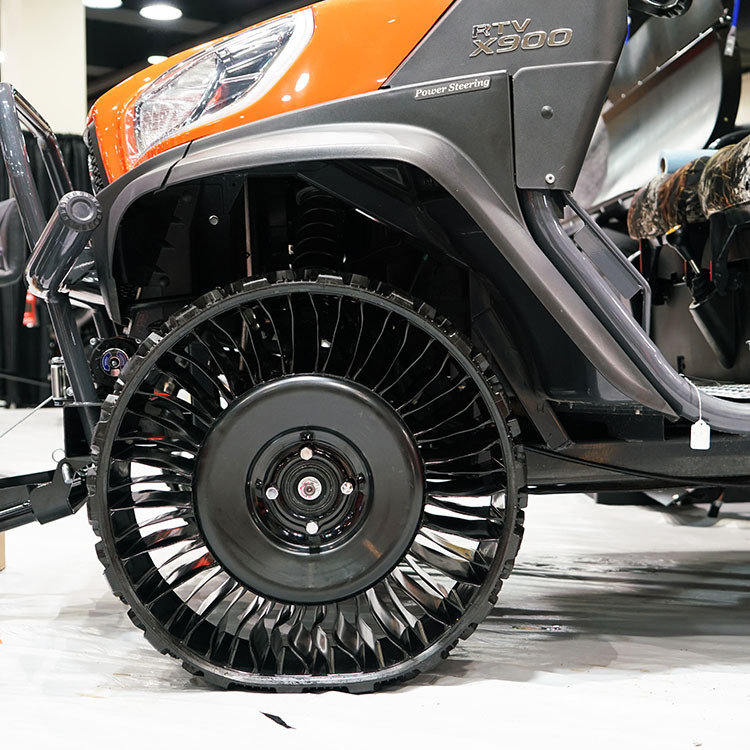 In the face of these obstacles, the TWEEL® UTV product is designed to perform like a pneumatic radial tire, but with the robustness and damage resistance of an airless tire. Deep, open and aggressive tread design cleans mud while providing excellent stability and traction. Heavy gauge steel with 4 bolt hub pattern fi ts on a variety of popular UTV machines. Michelin’s proprietary Comp10 Cable™ forms a semi-rigid “shear beam”, and allows the load to hang from the top.